Working with Creative Agencies - There’s still hope! On the 18 & 19 of October, designers, developers, entrepreneurs and professionals of the tech industry gathered last week for a solid couple of days with inspiring presentations about design, development, big picture thinking and startups. It was the Web Directions South 2012 that took place at the Sydney Convention & Exhibition Centre in beautiful Darling Harbour – Australia. The conference was huge, 3 to 4 speeches were happening at the same time in different places – thankfully they will make all of them available on video this year. It was the title of the speech by Kynan Hughes from The Monkeys – a creative agency in Sydney, Australia. This article is a reflection on the presentation. 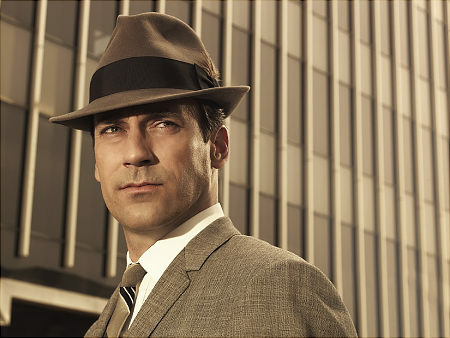 The process that most agencies use is still quite similar (if not the same) since the 60’s – Mad Men days. Kynan gave us a glance at the big challenge creative agencies endure and what a project looks like when it gets to the development team: short deadline, creatives with crazy ideas, budget constraints and all the nasties that ruin the development ‘peace’ and can lead to under-deliveries and unhappy clients. As I started my career in creative agencies, I have worked through the night on many occasions in order to ensure that deadlines are met and media bookings are not lost. I was on the other side of the coin – I was the creative. Although it can be deceptively glamourous, creative agencies have a tough job. Too many people, skills – and egos 😉 to coordinate and an incredible amount of external suppliers working on the same thing. It is definitely not smooth sailing. There are a few things that can make web-development better, we just need to see things for what they really are. A website that is thought out as being part of a bigger communication strategy and carefully aligned to the brand positioning will have a greater impact – thus achieve more. If you have a brick and mortar store, you know why your point-of-sale material follows your communication outside the store. It is not different when it comes to your web-site or e-commerce storefront, it all must be part of the global brand discourse. The development is a fundamental part of the process that makes the connection between brands and individuals through the internet. The ‘digital’ label used by agencies to describe the work we do, does not make sense anymore. Stop asking suppliers for fixed quotes. As the title of the presentation suggest – The Monkeys are not reinventing the wheel. They have a technical person that applies Agile principles to their development and respect the fact that the client knows what will put his business in front of their competitors. The agency and developers are responsible for advising on the best approach to a feature and achieving the desired outcomes. It is important to include the clients in the process and allow them to make informed decisions. It will not only help to avoid losing a grasp of he project’s budget, but it will also help the team to meet deadlines without compromising quality, client satisfaction, developer burnouts, coffee abuse, sleep deprivation and so forth. It is a matter of keeping a good balance between the creative solution, the good industry practices and prioritise what really matters, leaving the less important features on the back-burner. At Inchoo, we have a very similar approach and we don’t like fixed-bid projects as much as clients don’t like stiff solutions. When we started Inchoo Australia, the first thing I did was to contact creative agencies for partnership opportunities. Unfortunately, it hasn’t worked out as the list of features required called for highly custom and complex integrations that were never compatible with the budget and time-frame expected. Keynan’s speech is a breath of fresh air. It is good to see that agency attitudes towards development is changing, making life better for our fellow developers and delivering better solutions to clients.